Ford rolled out plans to invest billions in U.S. plants and factories, and bring thousands of jobs back home. She also highlighted how strength in the auto industry has helped contribute to 30 straight months of U.S. job growth, creating 4.6 million new private-sector jobs. To build on this momentum, Acting Secretary Blank outlined additional steps we can take to ensure America’s long-term competitiveness. 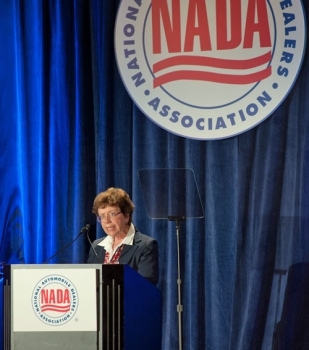 She highlighted Recovery Act investments that have aided the work taking place at Commerce's National Institute for Standards and Technology, including their Center for Automotive Lightweighting. She also mentioned the importance of investments in education and infrastructure. Submitted on October 30, 2012 - 4:14pm. Acting U.S. Commerce Secretary, Rebecca Blank, is right that investments in education and its infrastructure are paramount.